Full-size pickups are a competitive segment with a host of excellent vehicles on the market, but if you are searching for a heavy duty truck with enough power to move mountains, the 2016 Ram 3500 stands head and shoulders above the competition. When you are ready to discover one of the most powerful and well-crafted vehicles ever made, visit us at Sulphur Springs CDJR, where we house a massive inventory of all things Ram, including the 3500. Stop by for a test drive if you are near Tyler, and Greenville areas and experience a world-class team of customer service experts. We look forward to serving you today! Safety starts with the Ram 3500's hydroformed 50 KSI steel frame body and it moves on to include anti-lock brakes, stability and traction controls, multiple cabin airbags, a tire pressure monitoring system, and rear parking sensors and a camera (in the upgraded trims). The heavy duty pickup provides heavy duty safety and drivers need not worry about issues when out on the road or at a worksite. Here is a quick look at a few other safety features the 2016 Ram 3500 has to offer, but do not hesitate to ask our representatives at Sulphur Springs CDJR for a full safety breakdown. The 2016 Ram 3500 provides nothing but an expert craftsmanship and durability for those drivers who need power when out on the road. 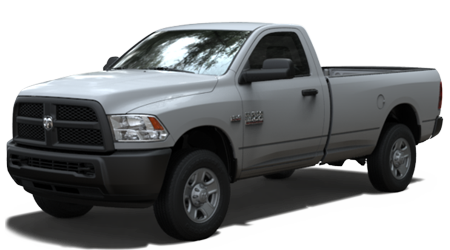 The Ram's towing and payload capabilities come second to none, and the pickup is simply a beast under the hood. No matter what you might need the Ram 3500 for, the vehicle will be ready to tackle anything work, or life might throw are you. When you are prepared to experience this monster of a truck near the Tyler, and Greenville, stop by Sulphur Springs CDJR to schedule a test drive. We are located at 1505 Industrial Drive West, Sulphur Springs, TX 75482 so stop by to get behind the wheel of the 2016 Ram 3500 today!